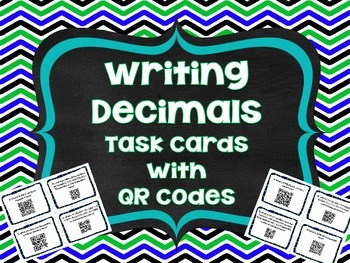 This set of 24 task cards reviews writing decimals in word form, standard form, and expanded form. 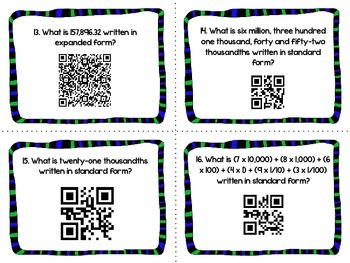 Each card contains a QR code with the answer for the students to scan and check their answer. 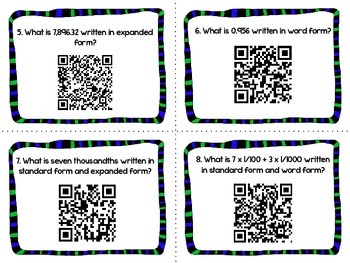 A recording sheet and an answer key is also included. 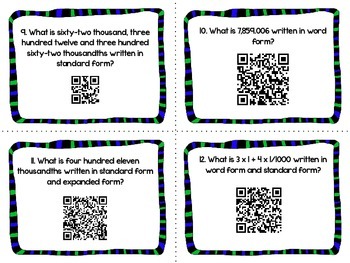 QR Codes are very engaging for the students to use! Not only are they fun and different, but they also allow the students immediate feedback on their work. Just make sure you have an iphone, ipad, etc that can scan these codes before purchasing! This aligns with Common Core standards 5.NBT.3.